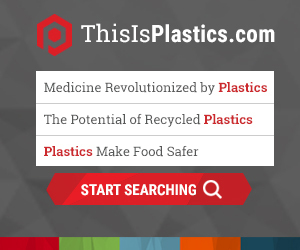 The PLASTICS Machinery Safety Technical Committee is seeking experts for four Standards Working Groups. Listed below you will find descriptions for each group. If you are interested in joining, please contact Megan Hayes, PLASTICS’ Director of Industry Standards, at (mhayes@plasticsindustry.org). 1. Extrusion: B151.7-2014, Safety requirements for extrusion machines is due for 5-year review in 2019 and will serve as the base document for the ISO project related to extrusion. The working group will review the document and make any necessary changes. 2. Robots: B151.27-2013, safety requirements for the integration of robots with injection molding machines was due for 5-year review in 2018. This working group will review PLASTICS technical documents (including guidelines for electrical interface and mounting patterns) related to robots and IMMs and provide a recommendation back to the committee. The first call of this WG is scheduled for December 12, 2018 at 11am ET. The consensus body agreed that individuals with expertise regarding robots and injection molding machines are desired for this project. 3. Blowmolding: B151.31-2014, safety requirements for blow molding machines, is due for 5-year review in 2019. This working group will review the document and make a recommendation regarding whether to revise, reaffirm or withdraw. 4. Safety Signs: AN-137, Recommended Guideline for Safety Signs for Plastic Machinery and Related Equipment needs to be reviewed to determine whether there are certain plastics-specific safety signs that should be retained for future use.